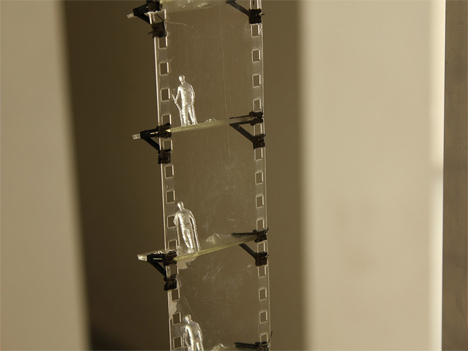 Instead of drawings on pieces of film, Relief features tiny translucent resin figurines on a conveyor belt. 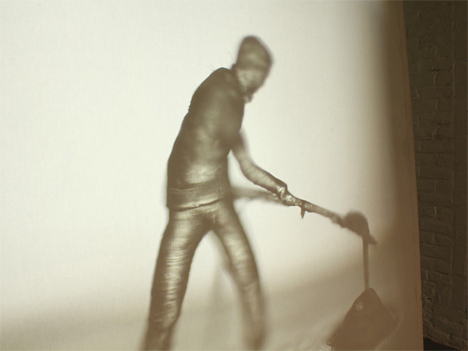 The 3D figures roll around the belt with a light illuminating one at a time against a projector screen. As they roll around the belt, the small figures act out a scene of a man digging a hole and then putting the dirt back into the hole. A total of 85 tiny men rotate around and around, eternally taking dirt out and putting it back in. 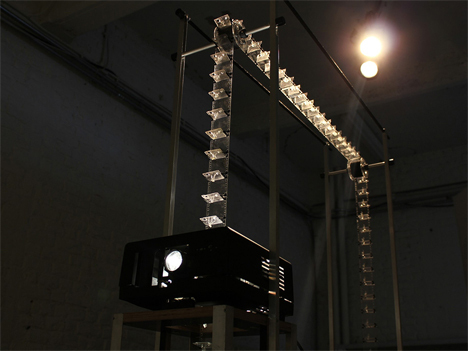 Their never-ending labor is a unique combination of low-tech – stop animation – and high-tech – 3D printing. 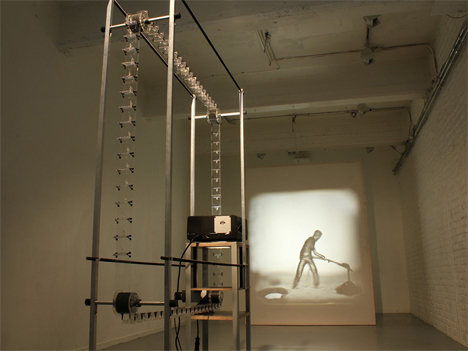 Relief isn’t just a movie to be watched on the projector screen; it’s an experience that encompasses the entire humming machine and each tiny, 3D-printed little character that casts its individual shadow. 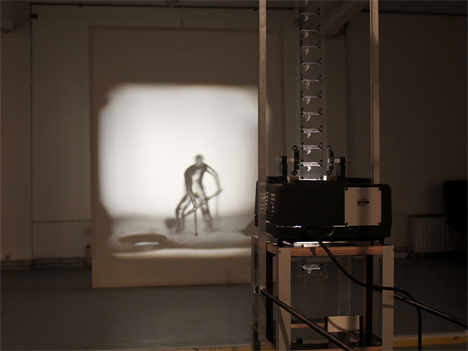 The stop-motion shadow show was built while Maire was doing a manufacturing residency at the iMAL Center for Digital Cultures and Technology in Brussels.